Description: Willow is a large deciduous tree up to 90 feet tall. There are different species of willow, but this one used for the Bach essence is easy to recognise by the branches, which turn a glowing yellow-orange in winter and spring. Willow prefers damp terrain near seas and watercourses. Its leaves are long and come to a point, and they have fine hairs on the underside. 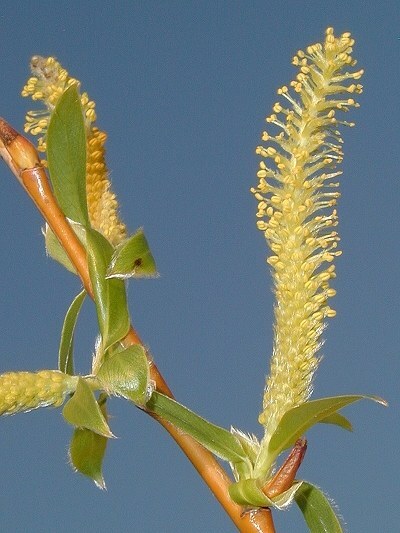 The male silvery-grey willow catkins and the female light green, oblong blossoms grow on separate trees. It blooms in April/May.